Pushed forward by Kaori’s insistence, Kosei enters into the Maiho Music Competition hoping to finally put the demons of his past behind him. Unbeknownst to him, his two childhood rivals, Takeshi Aiza and Emi Igawa have been waiting for the prodigy to return. Fueled by memories of their crushing defeats of years past at Kosei’s hands, the two prepare to unleash their all in the competition in a whirlwind of sound and color. After watching his two rivals perform brilliantly, Kosei stares into his own soul as he steps on the stage, confronting the parts of his mother that still linger within him. After witnessing Takeshi’s brilliant performance, Emi is next up to perform, giving a stirring performance of Chopin’s Étude Op. 25, No. 11. During the performance, Emi’s history with Kosei is revealed, giving depth to her rivalry with him that I felt made her performance that much more noteworthy. One thing I’ve enjoyed greatly about this series so far is how well the performance scenes are utilized as a window into the character of each performer. Just as Kosei’s performances are unsteady because of the memory of his mother, Emi’s performance is stormy and forceful in an effort to repudiate her memory of a role model long gone- a fitting match for a piece entitled “Winter Wind”. This was a riveting segment and I loved how it gave Emi’s character depth by exploring her history while backing it up simultaneously with her passionate performance. While there is occasionally some extraneous exposition where the performance could have just as easily have done the talking, I felt that that this performance, although taking up almost half the volume, was well worth the time because of how well it conveyed Emi’s emotions. Further accentuating the emotional impact of Emi’s performance is Arakawa’s art, using key moments of visual imagery to convey the emotions following outward from the performer to towards the audience, and by extension, the reader. Leaves falls as Emi reaches the climax of her performance in a display which fits appropriately in with her emotions. Moments like this mark this volume as Arakawa’s most consistent effort thus far, with Emi and Kosei’s performance scenes drawn with a beautiful amount of detail and an impressive eye for dramatic cuts between panels. While the scenes outside of the performances are not nearly as carefully drawn (making this yet another volume with some inconsistent facial expressions for Kaori), I can’t argue with Arakawa’s seeming prioritization of the performance scenes as they are absolutely gorgeous as the true showcases for this series. The second half of the volume follows Kosei as he prepares for and later begins his performance, taking the opportunity to fill in some of the gaps regarding his relationship with his mother. The reality of the situation is heartbreaking, explaining a lot of why Kosei has such an aversion to the piano to devastating effect. There are still some unanswered questions in this distinctly one-sided portrayal of their relationship, but the sequence does a great job giving context to Kosei’s mental state as he enters into his performance. This made Kosei’s struggle feel all the more real as he enters his performance, cementing the enormity of the mental strain placed on him in a way that finally explained why he had such struggles in the series to date. With this scene, Arakawa has seemingly set the table for a decisive internal confrontation, and I found the bits added to Kosei’s backstory interesting for the context they gave to this. Taking a backseat in this volume are the rest of the characters, who sit in the audience cheering Kosei on. Interestingly, although Kaori is physically separated from Kosei, we see how much of an impact she has had on him as she among all else remains at the forefront of his mind as he struggles through his performance. This was quite effective as it grounded Kosei’s mental state within the events of the previous volume, demonstrating the conflicting influences in his character development in a way that gave his internal struggle a great deal more emotional resonance. It’ll be interesting to see if Kosei is able to struggle through, and given the strength of the performances seen in this volume I’ll be looking forward to seeing Kosei’s latest confrontation with his internal demons play out through his music. Your Lie in April continues to proceed along breathlessly, delivering two compelling performance scenes which demonstrate a wonderful level of cohesiveness thematically. Arakawa delivers a strong artistic effort, giving the performances a distinctly cinematic look which gave each of them additional emotional depth. While the series continues to struggle to find a balance in the amount of monologuing appropriate to get a point across, the performance scenes did a great job showing a window into the souls of each of these characters and giving extra weight to the bits of their past we get to see. Fans of the series won’t be disappointed with this volume as Kosei’s cards are seemingly all on the table now regarding his past with his mother, and while heartbreaking, they paint a potent picture of the struggles he’s dealt with. 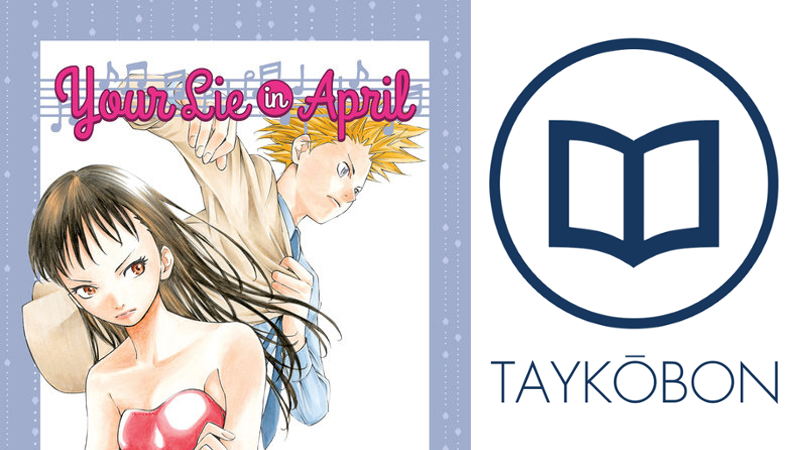 Your Lie in April (Shigatsu Wa Kimi No Uso) Vol. 4 was published by Kodansha Comics USA on October 27th, 2015. The series originally ran in Kodansha’s Monthly Shonen Magazine from 2011-2015, with an anime adaption by A-1 Pictures airing from October 2014 - March 2015. Volume 5 will be released on December 29th 2015 in English.